Product failure analysis to identify root cause, often including manufacturing processes and service usage investigation. Product manufactured quality conformance or non-conformance to design documentation and specifications. Product performance and failure determination by comparison to exemplar product, design documents, and product specifications, including nominal and tolerance measurement, and intended vs. experienced use. Providing highly visual engineering reports explaining the scientific conclusions. 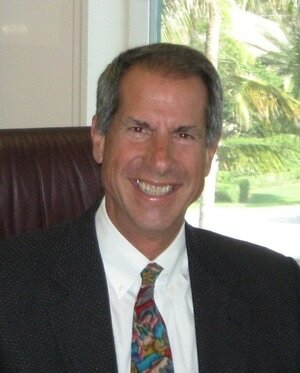 Mr. Greene has 35+ years experience in implementing technology solutions to industry for business benefit. His experience is listed below, in reverse chronological order. L3I/SIS – Co-founded a team of mechanical and design engineers providing the world’s most accurate and comprehensive dimensional quality inspections for precision manufacturers to make better parts faster, at lower cost, with greater confidence, cutting iterations, saving months and often millions. We reduce new product time to market, accelerate the optimization of manufacturing processes, and improve the performance of products. PBA – Provided senior executive advisory services regarding the situation/condition of the employment market for senior executives in the light of the globalization of our economy. Provided customized recommendations for senior executive business ownership options as viable alternatives to traditional employment. Encore – Identified, developed specifications and sold software development projects for a custom software application development professional services company. Cenetec – Identified and established services-for-equity-partnerships with early stage technology companies to help them grow bigger, better, faster in the Internet, application software, electronics and biomedical industries. Observed the rapid rise of global competition in these areas of technology from reverse-engineering and aggressive marketing tactics. EvCom – Created new business avenues for an Internet Services Provider (ISP) and electronic marketing services to leverage the widespread technology platform of the Internet for global business development. ASI – Established an export management company to help American medical product companies export their products to foreign markets through foreign agent representation and strategic international distribution agreements. Litton – Led multiple teams implementing computer systems integration as an ?umbrella? service offering for factory automation in heavy industries and telecommunications markets. GCA – Led teams implementing robotics and factory automation systems in aerospace industry. Managed the field business development operations through corporation’s acquisition by a foreign conglomerate.